Beloved Bob and Larry from VeggieTales are off and running with a new DVD just in time for Valentine's Day, VeggieTales Lettuce Love One Another. For this love-filled collection, the rotund tomato and perky cucumber characters share three favorite VeggieTales episodes plus five brand-new "Bible Bits." And Larry the Cucumber shares the five Bible Bits, each a lesson in and example of forgiving, helping, giving, praying, or sharing. Bonus fun: Three silly songs, two story book tales, instructions on how to draw Abe and King George, and more. 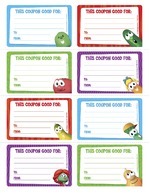 VeggieTales offers up some fun printables to go along with Lettuce Love One Another. 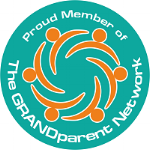 The Service Coupons make perfect last-minute Valentine's Day gifts for kids to give and get, and the Kindness Chart keeps kindness front of mind on a daily basis. And, of course, there's a VeggieTales Valentine's Day card for printing on cardstock, too. Click on the graphics thumbnails below for the full-sized printable pages (if you have trouble printing from the page, right-click the full-size image to save to your computer, then print from that). 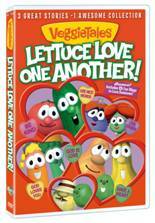 VeggieTales Lettuce Love One Another, released Jan. 15, is available at all major retail outlets for SRP $12.99. Disclosure: I received a copy of the DVD for review. Opinions are my own.